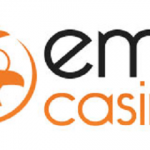 Emu Casino belongs to an Australian brand. However, it can be played by users from all across the world. 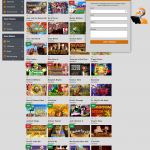 The platform has a wide selection of games supplied by some of the most popular developers in the gaming industry. Apart from that, the platform is very secure for transactions and uses advanced encryption system to protect user information. Emu casino also has a highly attractive bonus and rewards program. The casino is one of the best options for players looking to make a dive into the online world of gambling. Emu Casino uses an entirely web-based platform. There are no downloads to be made. You can access the website directly from your browser. It has a well-organized layout which makes it easy to navigate. Even the registration process is just a breeze. It hardly takes more than a minute to set up an account for yourself. The Casino uses software from multiple leading providers, including BetSoft Gaming, RebCat gaming, Genesis Gaming, 1x2 Gaming, NetEnt Gaming and more. The software is selected keeping in mind the gaming processes. Due to an ideal selection, the casino is able to provide a diverse range of games with the best audio and video effects. The experience is very similar to playing in a brick and mortar casino. Emu Casino has a wide array of games. However, they are exceptional when it comes to the slot machines. The casino has a collection of more than 360 different slot machines. It has almost all the popular slot machines that are available with other platforms. The best part, however, is that they offer progressive jackpots and large cash prizes. For players who are not particularly fond of slots, there are other options such as roulette, baccarat, blackjack, poker and more. All of these games come in high definition. Some are even broadcast live from the studios. Although all of these games may not be compatible with mobile phones, there are still a number of options that can be played smoothly through the tablets and smartphones. Emu Casino has quite an impressive bonus structure. The platform even allows its players to use up the Emu Points for making purchases from the Emu Shop. This is a unique feature of an online casino. Here, the purchases imply free spins, holidays, gifts and bonuses. If you are not interested in making the purchases, you can also have the Emu Points converted into cash and opted for a withdrawal. If you become a regular player with the site, you can have a claim over various bonuses. There is a separate welcome bonus for the new players up to 100 Euro. 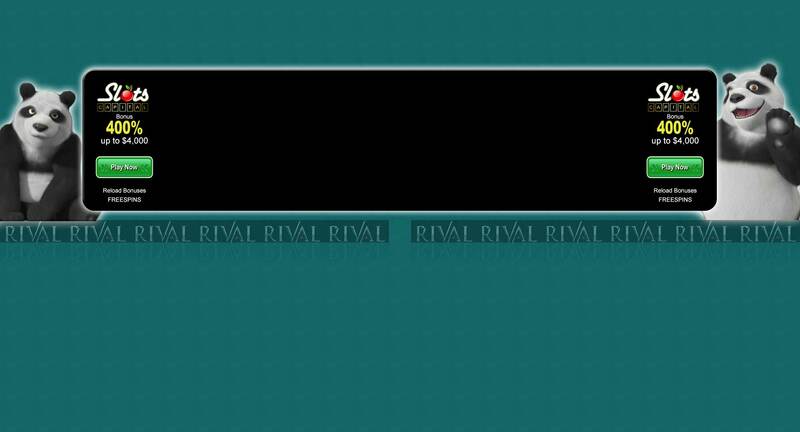 The higher you rise through the loyalty ranking, the more Emu Points you will be able to earn. For example, if you wager $10 on pokies, you will be given 9 points. For other games such as roulette, blackjack, jackpot games, video poker, and table games, you will be given 1 Emu Point. There are also various other ways of earning Emu Points. Even at the time of joining, each player is given a total of 1000 free points simply as a welcome reward. Apart from this, you earn 200 points each time you log in and 5000 points for every time you make a deposit of $100. The casino has a 6 tier loyalty program that is based on the aggregate of points. These are the Newbie, Silver, Gold, Bronze, Platinum and Elite programs. Each player is given a minimum match bonus of 100%. However, this increases as you rise through the tier programs. At higher levels, you also have a claim over free spins and cash drop. The players who do not have a VIP membership are not left out. There are other promotions such as “casino races” that remain accessible to all the players. These are simple competitions with the total weekly spin as the main criteria for determining the finishers who are allowed to place bets. Apart from this, all the active members are given special bonuses for their birthdays. Emu Casino does not have a highly versatile banking option like most other online casinos. However, this does not pose any major problem to the Australian clients. The currencies that are accepted by the casino include US Dollars, Euros, Pounds Sterling and Australian Dollar. There are no fees for the deposits as well as the withdrawals. You can choose from several different options for making your withdrawals and deposits. These include – Credit cards, Debit cards, Paysafe card, Master Card, Maestro, Visa, and Neteller. Players looking to withdraw a large sum can also opt for the wire transaction. However, the wire transfers can take as long as 10 days to get completely processed. Emu Casino has a highly reliable customer support service that remains accessible 24 hours a day. You can reach the service staff through email, text chat and also through a direct call. If you want to make a short query, then it is most convenient to opt for the live chat feature. Even if you use the email or text chat, you will be given prompt replies, well within 24 hours. 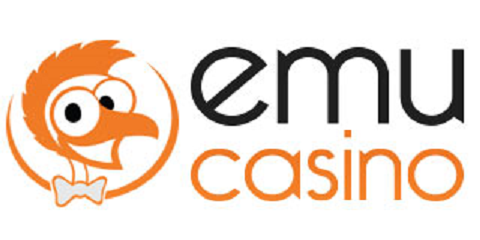 Emu Casino uses the SSL encryption system to secure the personal and transaction information of the clients. Before you make a withdrawal, you will be required to verify your identification documents. This may elongate the withdrawal process by some degree. However, it is worth it as it secures you against thefts. The same also applies to the registration process where you are required to make mobile phone-based authentication. Basically, you will be required to verify the sign up by entering the code that is sent directly to your mobile device. This additional step is not required for other online casinos. However, it does a great job of securing the platform against scammers. It is also noteworthy that all of the payouts at the Emu Casino go through an audit and is published by eCOGRA towards the end of each month. This transparency maintained by the casino confirms to the fact, that it’s a reliable platform for putting in your money. Furthermore, the casino follows a system where the daily operational funds are held separately from the player funds. This ensures that no fund mismanagement takes place any point of time. Emu Casino is a certified casino. It uses an audited Random Number Generator, thereby keeping the game fair at all times. Apart from that, the game selection, loyalty program, and the jackpots are highly appealing. Furthermore, the casino also uses a highly reliable encryption system. Hence, it is a great place to put in your money.